The colorful customs and traditions of the Volga Germans have their roots in the German speaking lands of Western Europe. Many of these traditions were influenced over time by their experiences in Russia. Upon their arrival in Albina in 1881, these traditions were again adapted to a new way of life in America. 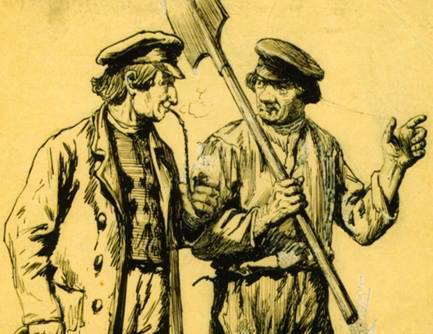 Drawing of typical Volga German men by Jakob Weber.